In our Fleet we currently have some of the best brands out there, Hewescraft Fishing boats, Campion Allante's, Campion Explorer, and Starcraft SCX. Members can simply call or go on line to reserve their boat and the day they want to go boating. They just show up, the boat is gassed up and ready to go. When they return, they simply walk away! No maintenance or repairs to worry about, no insurance payments or storage costs and definitely no cleaning. With easy access to downtown Vancouver, major highways, and offers a quick route to the Salish sea and the Gulf Islands. Known as the most live-aboard friendly marina on the west coast and we are walking distance from fine shops and restaurants. With most amenities and first-class services in the region, we are conveniently located across from downtown Vancouver on the North shore near Lonsdale Quay. Fishing, site seeing and more...Boating made easy (pets welcome) join the Freedom Boat Club of BC the affordable alternative to boat ownership!!! Freedom Boat Club provides both classroom and on the water training free of charge, whether you need a simple refresher or 10 hrs! you must have a Pleasure Craft Operator Card and be of 21 years or older to operate the boats. No wonder over 16,000 Freedom Boat Club members across the nation enjoy the boating lifestyle without boat ownership hassles. 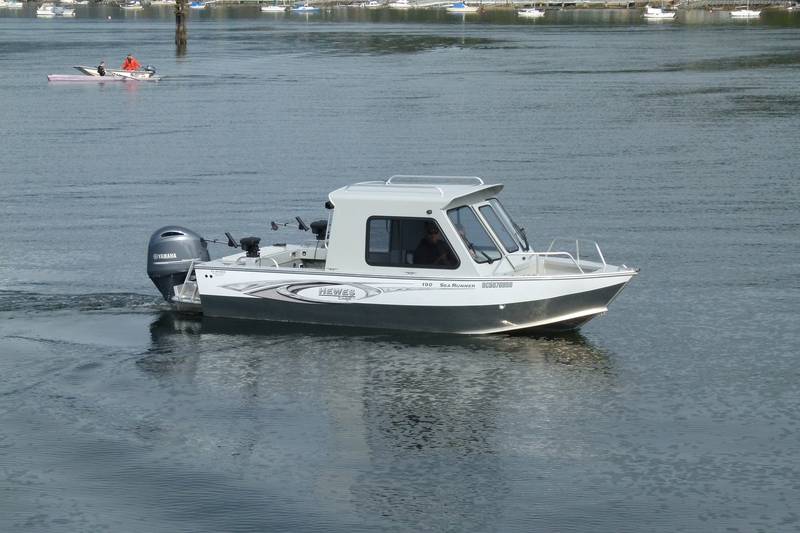 Fishing, site seeing and more...Boating made easy (pets welcome) join the Freedom Boat Club of Vancouver the affordable alternative to boat ownership!!! Freedom Boat Club Tampa Bay, owned by Glenn Bergoffen (left), received four of the franchisor’s top national awards, including 2016 Franchise of the Year. He is shown with chief operating officer Lisa Reho and Freedom Boat Club president and CEO John Giglio. Nine achievement awards were presented last week at the Freedom Boat Club National Franchise Conference at the Hyatt Regency in Sarasota, Fla.
Club owners and operators from throughout North America gathered with corporate staff and key vendors Nov. 13-17 for professional development and training programs, new product launches and award recognitions. Freedom Boat Club Tampa Bay, owned by Glenn Bergoffen, swept four of the top national awards, including 2016 Franchise of the Year. Bergoffen and his crew also took home the 2016 Highest Percentage of Revenue Increase and 2016 Territory Expansion awards while also being named to the franchisor’s Pacesetter Club of top performers. Giglio cited Bergoffen’s organization as a model club, featuring notable growth and financial strength, a well-maintained fleet, strong marketing programs and satisfied club members. Eight franchisees were recognized with Pacesetter Awards for outstanding overall performance, revenue growth and membership satisfaction: Freedom Boat Club of Tampa Bay; Freedom Boat Club of Daytona Beach/New Smyrna; Freedom Boat Club of Lake Norman, N.C.; Freedom Boat Club of Massachusetts; Freedom Boat Club of San Diego; Freedom Boat Club of Lake Austin/Texas; Freedom Boat Club of New York; and Freedom Boat Club North Gulf Coast. Chief marketing officer Wanda Kenton Smith presented three marketing awards. The Marketer of the Year award was won by Freedom Boat Club — Lake Erie. The club enjoyed strong growth in 2016, thanks to a mix of targeted marketing activities and multiple new outreach initiatives, including the launch of a women’s boating group and a Great Lakes marketing coalition involving other Freedom Boat Clubs. The Marketing Brand Champion award is given to an individual who most passionately embodies and promotes the Freedom Boat Club brand. This year’s winner was Andrew Hard, Huntington Beach, Calif. Eight Freedom Boat Clubs in North America received special recognition for outstanding service as members of the franchisor’s National Marketing Advisory Council. Appointed members and their respective clubs recognized included Lisa Almeida, Jacksonville/St. Augustine, Fla.; Matthew Carrick, Greater Boston; Dan Hasbrouck, San Diego; Scott Isaacks, Texas; Karen Berry, Grand Strand, S.C.; JoAnna Goldberg, Annapolis, Md. ; Matthew O’Hara, Lake George, N.Y.; and Carrie Raney, Lake Erie, Ohio. The 2016 Rookie of the Year award, given to a new franchise with the best overall sales and performance statistics in a one-year period, was presented to Sandy and Jamie Purdon, Vancouver, B.C. — the franchisor’s first international Freedom Boat Club. The Guardian of Reciprocity award was won by Matthew O’Hara, Freedom Boat Club Lake George, N.Y. The award is presented to the club that most warmly welcomes and embraces “reciprocal” club members and delivers an exceptional member experience. Freedom Boat Club president and CEO John Giglio (left) welcomes new franchise owners Jamie and Sandy Purdon of Vancouver, B.C. 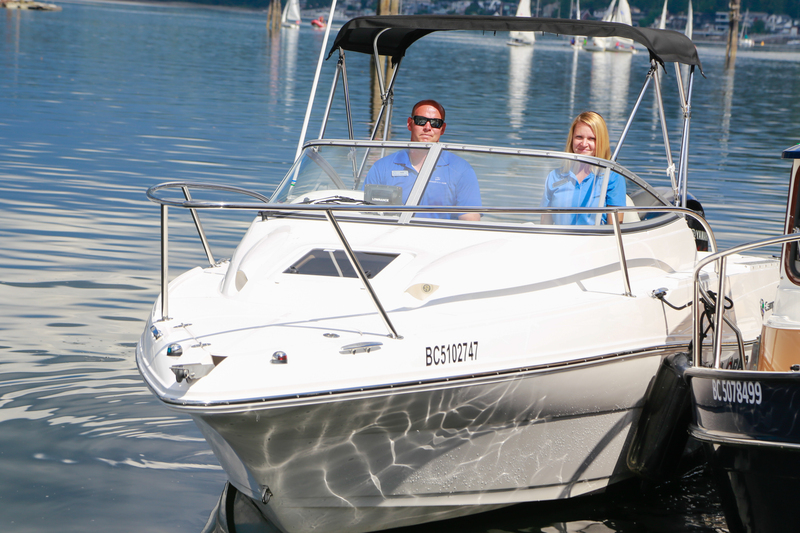 Freedom Boat Club appointed its first international franchise in Vancouver, British Columbia. 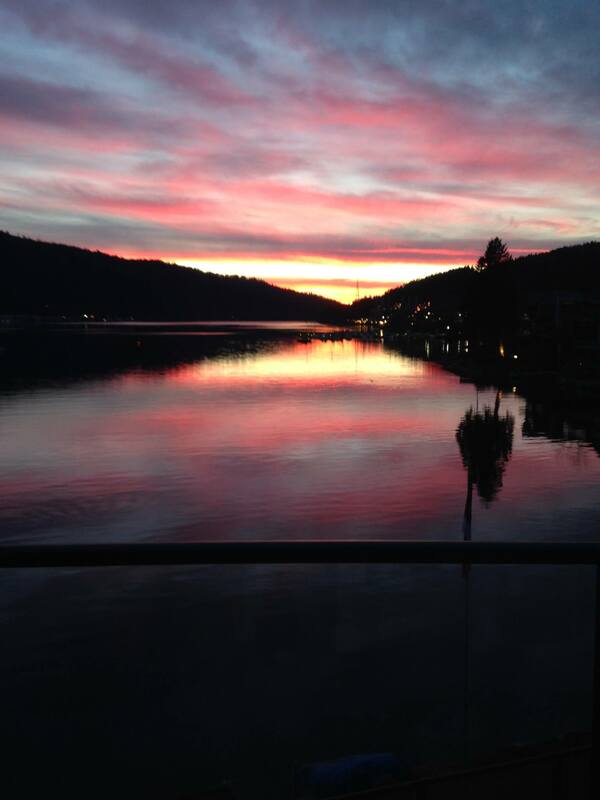 William “Sandy” Purdon and Jamie Purdon are the operators of the new franchise, and they are basing their club at Reed Point Marina in Port Moody, B.C. The Purdons previously operated a string of McDonald’s franchises in Manitoba for 21 years. The Vancouver Freedom Boat Club is gearing up for a major spring grand opening and launch. It will offer free boat training, monthly member socials and a mix of popular boating brands in the fleet, including Campion, Ranger Tug, Bayliner and Hewescraft. The Purdons say word on the street is already out and interest is high. Freedom Boat Club said it has posted 100 percent franchise growth since Giglio assumed the helm in 2012. This past January, Freedom Boat Club and Giglio were featured editorially in Entrepreneur Magazine’s annual franchise issue and ranked No. 283 on the Franchise 500 roster. The club now tops more than 10,500 members and sports a growing fleet of 1,000-plus boats in North America. Owned & operated by the Squamish Nation Marine Group, we are committed to providing the best boating environment in Vancouver BC and the Pacific Coast. With easy access to downtown Vancouver, major highways, and offers a quick route to the Salish sea and the Gulf Islands. Known as the most live-aboard friendly marina on the west coast and we are walking distance from fine shops and restaurants. With most amenities and first-class services in the region, we are conveniently located across from downtown Vancouver on the North shore near Lonsdale Quay.